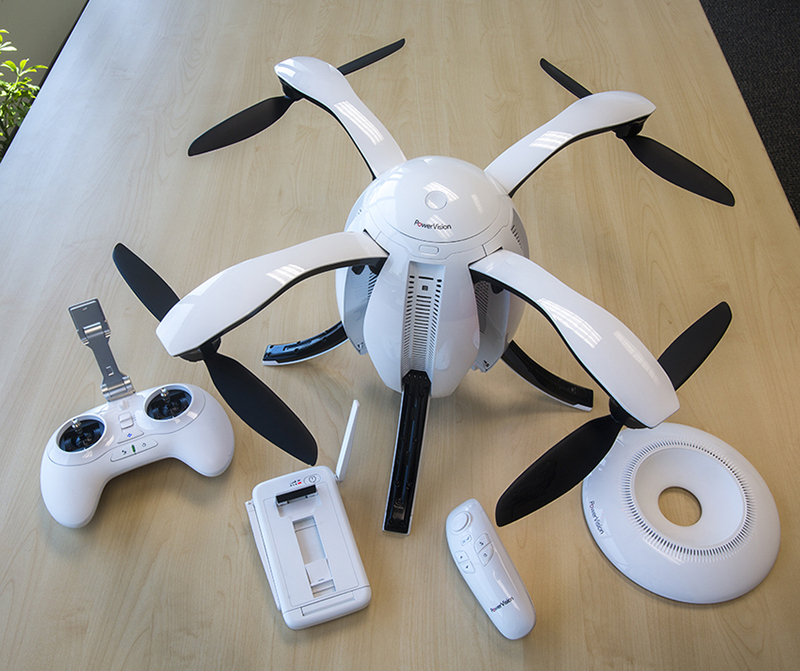 SAN MATEO, Calif., August 24, 2016	(Newswire.com) - ​​​​​​​​​​​​​​​PowerEgg™, the first consumer drone developed by PowerVision Technology Group, a worldwide leader in robotics and big data technologies, is now available for global pre-order. With its unique egg-shaped robotic design and the industry’s first gesture recognition remote control, PowerEgg is the world’s most intuitive drone designed for both enthusiasts and first time drone owners. PowerEgg global pre-orders are now being taken at the PowerVision Online Store (https://store.powervision.me) with shipping scheduled in mid-October 2016. Pre-order customers will receive a PowerEgg backpack valued at more than $200. PowerEgg takes the consumer drone market to the next level with the world’s first gesture-based one-handed drone controller — PowerEgg Maestro™​. With PowerEgg Maestro, takeoff and landing can be done with the push of a button so that anyone can fly PowerEgg right out of the box. The one-handed remote has motion sensing capabilities, allowing the user to interact with and manipulate the drone in flight via gesture recognition through advanced, integrated accelerometers and gyroscopes. 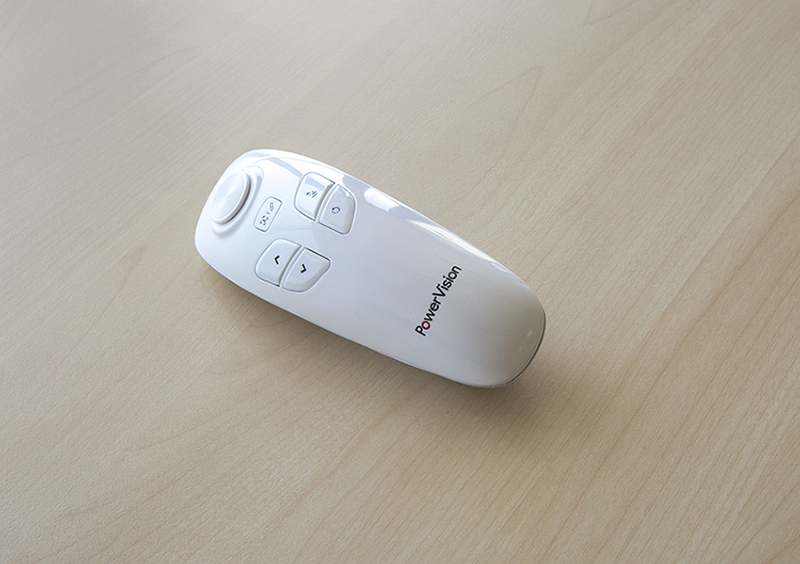 Users can control up-down, left-right, and near-far motions. PowerEgg’s sleek and innovative design addresses user demand for easy drone portability with its pack-and-go features. It delivers long distance real-time video transmission up to five kilometers (approximately 3.1 miles), is equipped with HD video transmission and has a maximum flight time of approximately 23 minutes. 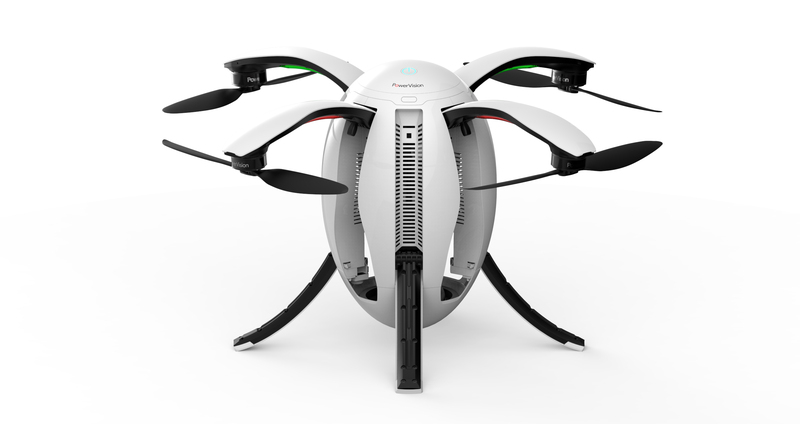 With its optical positioning system, PowerEgg can fly indoors, low to the ground and in GPS-free areas. PowerEgg’s visual and ultrasonic sensors scan the ground beneath it for patterns, enabling it to identify its position and move accurately. PowerEgg’s integrated 4K UHD camera can produce professional-grade photographs and videos with panoramic 360 degree views on a 3-axis gimbal, delivering stabilized aerial views with an immersive “spherical” experience. In addition, PowerEgg’s flight software includes multiple automated flight modes that let the user easily frame their shots while the PowerEgg automatically manages its flight path. These PowerModes™​ include Follow Me, Orbit, WayPoint, and Selfie mode, and are easily accessed through the iOS or Android user interface. ​Maximum Transmission Distance - Maximum 3.1 mi (Subject to regulation and local operating conditions). Distance will be shorter for CE. PowerEgg is available worldwide in white and priced at $1,288 USD MSRP through the PowerVision Online Store (https://store.powervision.me). Users who order PowerEgg during the pre-order period (Aug. 24, 2016 through Sept. 30, 2016) will receive the standard package and a PowerEgg backpack (MSRP $218 USD)​. The standard package includes the PowerEgg aircraft​, PowerEgg Maestro remote control, two-hand remote control, ​base station, PowerEgg smart battery and battery charger.